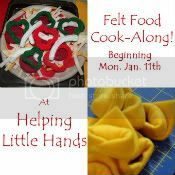 This tutorial is just for the orange peel, so if you want to know how to make the wedges, yo'll need to click here. 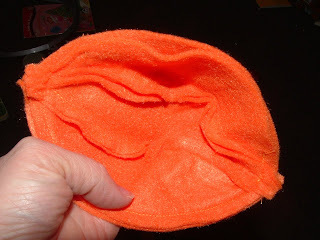 For the peel, I thought of using a ball pattern, lining it, and then leaving one side open. 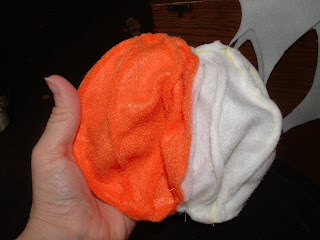 I saw a link on Homemade by Jill to this fabric ball pattern from Grand Revival Design and thought I'd try it out for making my orange. 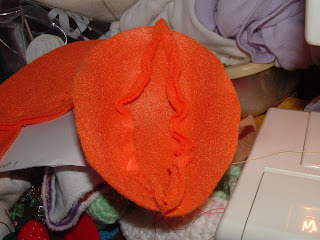 I used the smallest of the three sizes in the pattern for making the peel. 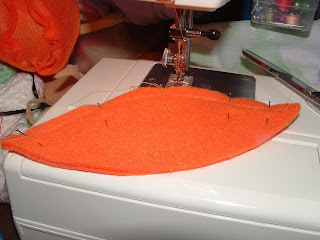 Materials: orange and white felt, pattern from Grand Revival Design at link above, and all the regular sewing stuff...sewing machine highly recommended. 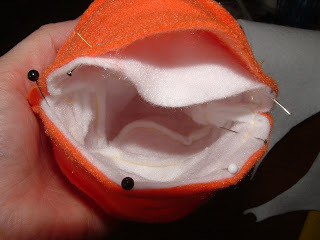 You'll need to cut out 6 wedges each of white and orange from the smallest size on teh Grand Revival Design fabric ball pattern. (Link above). 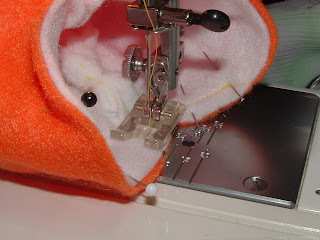 Sew the two havles together, leaving most of one side open. (I sewed just past the place where all six wedges meet. Repeat with the white wedges, but sew, with a slightly larger seam allowance (about 3/8 inch). 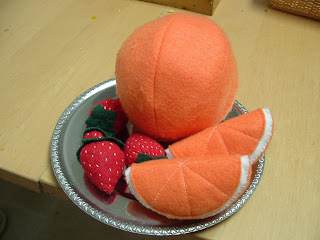 This will make the white ball just a tad bit smaller, which you want since it will fit inside your orange ball. Turn the orange ball WRONG SIDE OUT and the white ball RIGHT SIDE OUT. 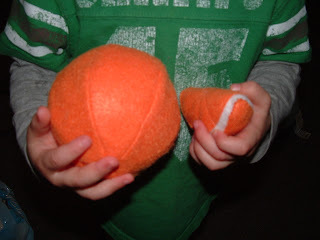 Put the white ball inside the orange ball, so that RIGHT SIDES are together. 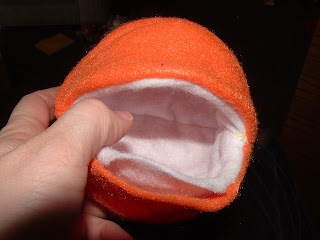 Sew the openings together, leaving an opening big enough to turn your orange peal right-side out. Trim excess material in the seam allowances. (Not pictured...I mostly trimmed the parts at teh top and bottom where all 6 wedges come together.) I also cut some notches in the seam allowances. 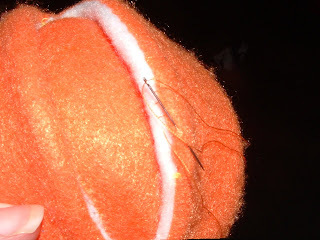 Slip stitch the opening closed by hand. 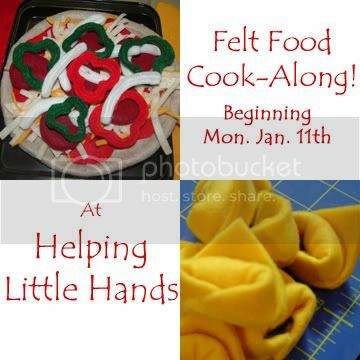 share your link here, and grab a button to let other people join in on the fun! Very clever! I love the idea of an orange you can peel! So clever. It was fun to see how you did that. That's a big orange in Boy's hand! I'll bet he loves it. This is the cutest felt food item ever. SO. CLEVER. I love it! Thanks so much for this, I'll be linking.